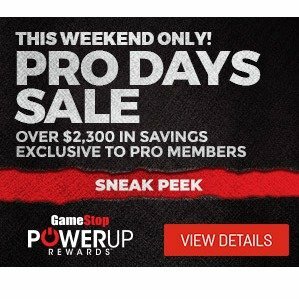 Gamestop 2018 Pro Days Sale Ad Posted! These offers run from November 9th through November 11th. Valid for GameStop Pro Members only.